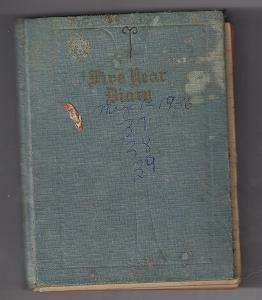 Vintage Woman's Diary-1936-1939 Price:4.99+$3.00 S&H This is a little diary belonging to Pauline Harsh. 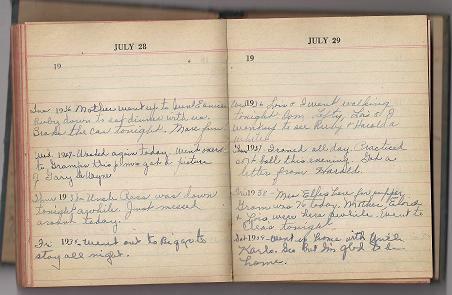 It is a journal of day to day activities in her life spanning the years 1936 to 1939. It measures 5 1/2 inches by 4 inches. It has a hard cover and is about 3/4 inch thick.